Ooooooooo, look at what I've got to share with you today! I'm so smitten with this new addition to my makeup book collection that it now has a semi-permanent place on my table. I first encountered "PONY" when I happened upon her makeup tutorials which she posts on her beauty blog and I was instantly in love with her feminine approach to makeup. Perhaps it can be said that like painters, makeup artists each have their own signature look and I think that certainly applies to PONY. There is something delicate and approachable about PONY's methods which translates even the most dramatic smokey eye looks into something wearable for you and me. PONY of course is only her net name, her real name being Park Hye Min but you will often only encounter her as PONY. 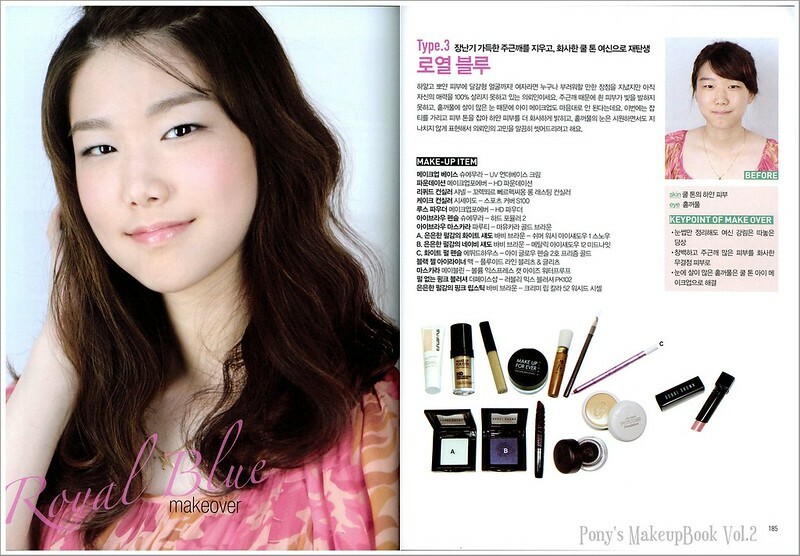 Starting off as a net model and beauty blogger she quickly gained popularity for her ulzzang looks. For those who are fluent in Korean, I included a self-description from the back cover of the book. Click the video below for my book review! I wanted to give you a better feel of the layout of the book as well as the variety that is included so below are a few scans that I've put together. This of course is only a small selection of what is available... for the sake of easy compilation I've included mainly tutorials that are two pages long in order to create a side by side image. 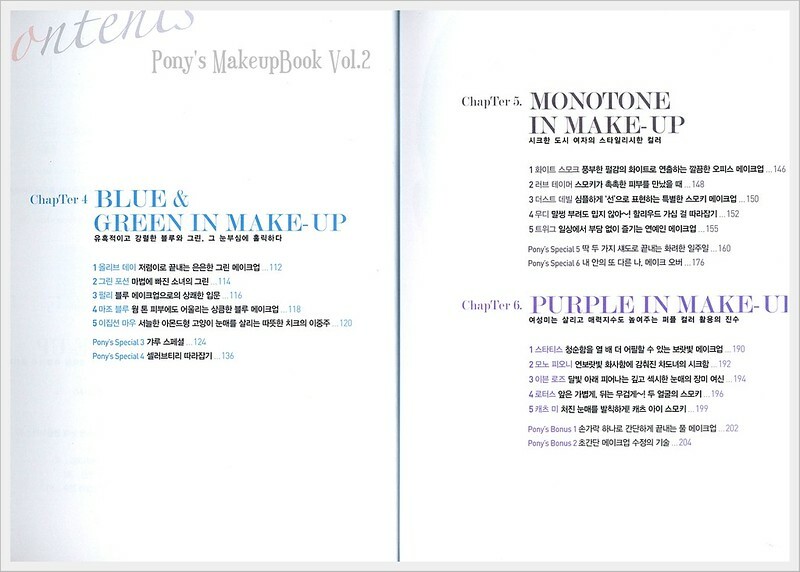 For those of you like myself who are looking for something that can be incorporated into your everyday routine, I think PONY's makeup book is such a gem. And although the language barrier might be a setback, as you can see from the tutorials above that they are easy enough to follow without needing to know Korean. Since this book is published in Korea and only available within the country, you'll either have to shop online or have a family/friend send it over to you. I'm currently in the process of slowly collecting the popular items that she uses in her tutorials. Although the products can be substituted for similar colours/brands I' thinking she uses them because they are great performing products and therefore worth a try. PONY currently hosts makeup workshops and continues to post reviews and makeup looks on her blog. Hope you all enjoyed today's book review and please let know if you have any new makeup books to recommend! I have a few other reviews lined up for Scott Barnes and Rae Morris so stay tuned for more. I like how the book has step by step pictures instead of just a long descriptions and I think PONY is absolutely gorgeous~! can you give us more scans of the oh-so lovely book? pleaseeee?